EAST CHICAGO, Indiana, November 7, 2011 (ENS) – A centralized waste treatment facility in East Chicago, Indiana, its owner and a manager, were charged Thursday with conspiracy and felony violations of the Clean Water Act in a seven-count indictment returned by a federal grand jury. The Department of Justice announced that Tierra Environmental, owner Ronald Holmes and manager Stewart Roth have been charged with illegally discharging wastewater into the sewers of the Hammond Sanitary District from a closed facility. Located at 3821 Indianapolis Blvd., Tierra Environmental is a waste treatment facility that charges customers to dispose of their polluted wastewater. Tierra advertised itself as specializing in spill remediation; bio-waste cleanup; waste brokerage; hazardous and non-hazardous transportation services; industrial wastewater/sludge removal and disposal; grease trap cleaning and tank cleaning for hotels and restaurants; and liquid waste transportation and disposal from food processors, distributors and manufacturers in all industries. Tierra collected both hazardous and non-hazardous liquid wastes from customers, using a vacuum trucks and tanker tractor-trailer trucks. Tierra had facilities for limited storage, separation and solidification of non-hazardous wastes. According to the indictment, Tierra’s East Chicago facility did not hold a permit to discharge industrial waste to the East Chicago Sanitary District’s sewer system and the facility’s connection to that sanitary sewer system had been sealed shut. So, the company had to transport wastewaters it collected from customers to other facilities for final treatment and/or disposal. The indictment alleges that the defendants conspired to transport wastewater to a shut-down, unpermitted facility located at 3, 141st Street in Hammond, that was owned and/or controlled by Holmes. 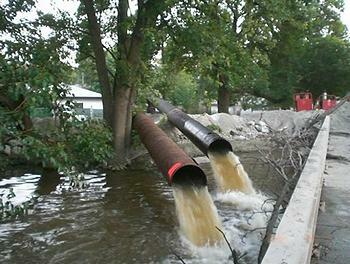 There, the wastewater was discharged directly to the Hammond Sanitary District’s sewer system. The indictment alleges that the conspiracy was undertaken for the purpose of avoiding expenses associated with treating and/or paying other facilities to lawfully treat, store, or dispose of wastewaters collected from customers. The Clean Water Act makes it a felony to knowingly discharge trucked or hauled pollutants into a publicly-owned treatment works from a discharge point not designated by the treatment works. If convicted, Holmes and Roth face up to five years in prison on the conspiracy count and three years on each of the Clean Water Act counts, as well as a criminal fine of up to $250,000 for each count. The company also may face fines and probation. The case was investigated by the Northern District of Indiana Environmental Crimes Task Force, including agents from the U.S. Environmental Protection Agency’s Criminal Investigation Division, the Indiana Department of Environmental Management- Office of Criminal Investigations, the U.S. Department of Transportation, Office of Inspector General, and the U.S. Coast Guard Criminal Investigative Service. The case is being prosecuted by the U.S. Attorney’s Office for the Northern District of Indiana and the Environmental Crimes Section of the Justice Department’s Environment and Natural Resources Division.